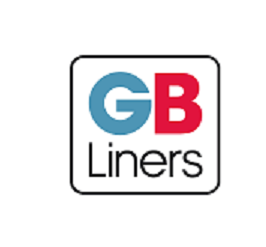 GB Liners – Brighton is the oldest branch of the GB Liners network and has been conducting moves throughout the south east, Europe and even internationally for 80+ years. Our office staffs have over 50 years of combined industry experience, so no matter the situation, you can be assured a solution will be found. GB Liners is family business which is run with the interest of its employees; each employee has the opportunity to become our partner in the business through purchasing shares. GB Liners feels this is critical to quality as it means everybody from the office staff through to our operation teams have an invested interest in insuring your move is the best move possible. GB Liners is located on the outskirts of Brighton in a brand new moving facility. This bespoke depot was created to deal with our customer growing need for flexibility and quality when moving. Variety of new innovative packing materials. With GB Liners – Brighton being located on the south coast, there is always has at least 1 Moving team & departing for Europe every week, so efficient timescales to any of Europe’s leading destinations is assured. The Branch specialises specifically in moves to and from Switzerland, they have worked hard to ensure they know the customs processes inside out to insure you are given the correct information and assistance. The main reason for relocating to Switzerland is work. GB Liners recognises that starting a new job can often be stressful and at short notice, this is why the “Guaranteed Timescale Service” was created. This means that GB Liners is committed to sending a vehicle to Switzerland every week, come rain or shine so that our clients are assured a prompt relocation. Really helpful at all stages, took the stress out of moving abroad would definitely recommend! Extremely polite helpful and careful. Found them helpful, friendly and Organised. Would strongly recommend them.